This is a personal favorite. 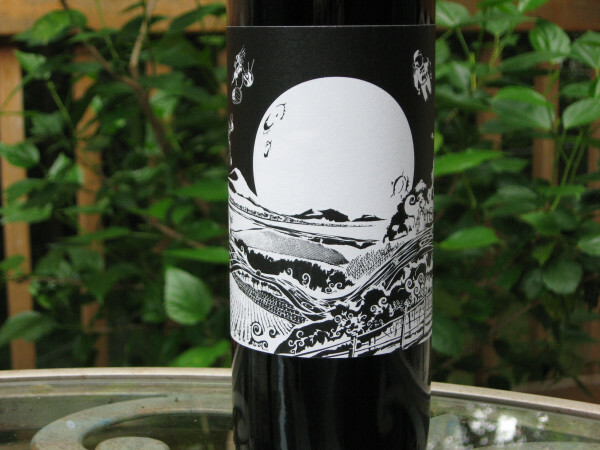 This is a blend of 40% Mourvedre, 30% Syrah, 20% Grenache and 10% Tempranillo from Paso Robles. The winemaker is Mark Adams, also the winemaker at Ledge and assistant winemaker at Saxum. 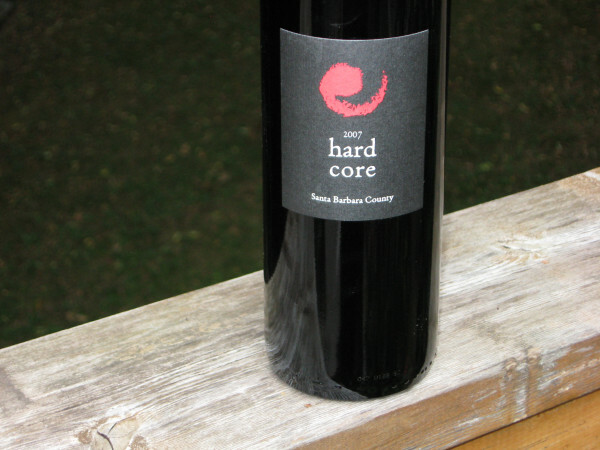 Core has been a favorite winery in my house for several years. I used to be able to stock up on trips to Sam’s or Binny’s when I went to Chicago. I no longer make that trip, so I get by on a few bottles here and there since it doesn’t make it to Wisconsin. This is a blend of 37% Mourvedre, 33% Cabernet Sauvignon, 26% Syrah, 4% Grenache from Santa BarbaraCounty on California’s CentralCoast. I’ve been wanting to try this wine for a while, Jeb Dunnuck from The Rhone Report loved the wine (92+ pts) and JL from WS trashed it (82 pts), my palate generally more closely aligns with Jeb’s, so I have no fear in opening this bottle. 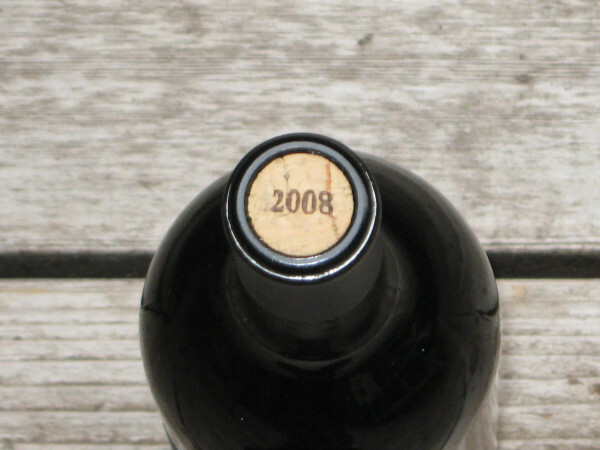 One oddity was that the label says 2007, but the cork is branded with 2008. Since it was only a couple weeks ago, I’m copying my post from my August 13 – August 16 blog which is still 100% applicable. 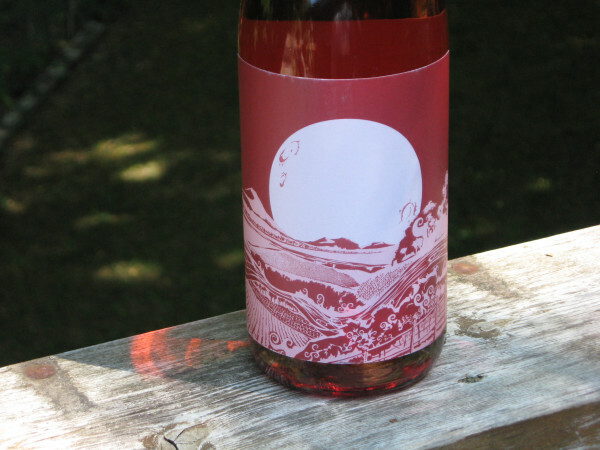 I’ve had this a couple times and it’s a very nice, easy drinking, fruity Rosé. It is a bit softer and shows a touch of sweetness. This is a Grenache, Syrah, Mourvedre blend from Paso Robles. The winemaker, Mark Adams, is a rising star in my opinion. Besides the One Time Spaceman label, he has another label called Ledge. I recommend doing a Google search for them and joining the mailing list. Mark is also the assistant winemaker for a small Paso Robles winery you may have heard of, Saxum. In his spare time, he is also a musician. Check out his latest offering, Panjanatan, I know it’s available on Amazon, probably other places as well. Smoking up some ribs and hot links for dinner, so a big zinfandel was in order. I had a hard time selecting between a Turley and one from Carlisle. It’s been a while since I had a Turley, so it won. As you can see from the bottle, the Turley fought getting plucked from the wine cellar, but I won. Actually the scrape comes from the slightly too tight a fit in my wine cellar racking system. It’s not a big deal to me since I buy my wine to drink, not to resell. 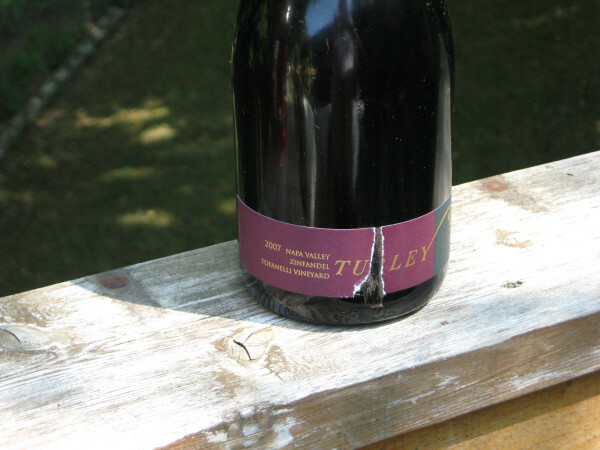 I generally like the Turley zins from Tofanelli Vineyard. They usually show nice minerality and loads of pepper and spice. The Tofanelli Vineyard is in about 26 acres on Dunaweal Lane, 1 mile south of Calistoga, in the NapaValley. I smoked some ribs for our Sunday dinner. 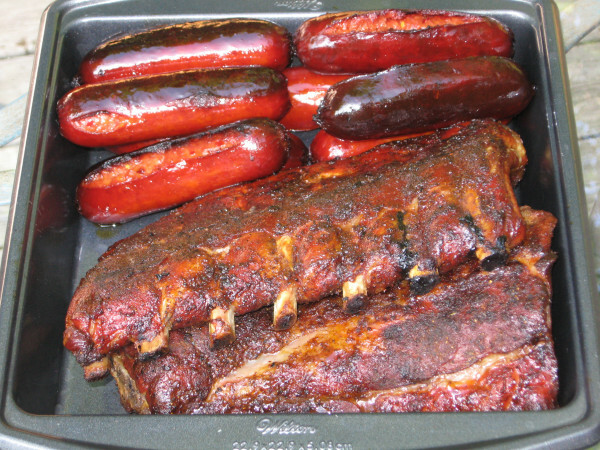 Dinner was glorious with the ribs, hot links, and my wife’s macaroni salad. I wrapped these in plastic wrap and put them in the refrigerator over night. 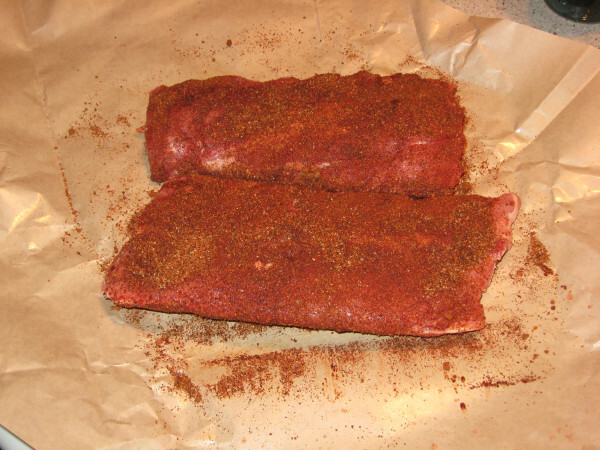 This allows the seasoning to be absorbed into the meat. The wine was a perfect pairing with the meat. Both had nice spice and the tannins had softened in the wine enough to cut through the juicy meat but not clash with the spicy rub I use. This is the home of some fantastic NapaValley cabernets at unbelievable prices. Their latest offer includes their 2009 Stagecoach Vineyard Cabernet and the 2009 Seventy Four – Forty One Howell Mountain Cab came out of Friday. If you can bribe your way onto their pre-release mailing list, these are 25% off the normal, release price. As a bonus, they also have a Library Release of their first commercial offering, the 2004 Stagecoach Vineyard Cabernet. Visit https://jeanedwardscellars.com/ and tell Karen I sent you. 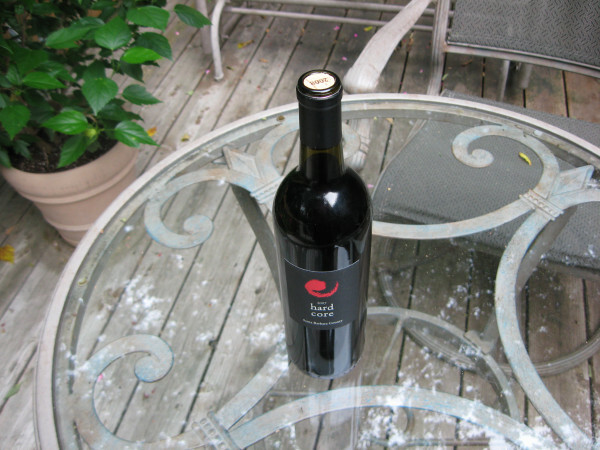 I have an earlier blog here with a review of the 2009 Stagecoach Vineyard Cabernet. Ordering a case from Villa Creek is always a no-brainer decision for me. Generally, the hard part is trying to keep my order between a case and a case and a half. This release had two of my favorite wines from Villa Creek, The Avenger and Mas de Maha. These are both nice blends from Paso Robles. The Avenger is a blend of 50% Syrah, 30% Mourvèdre, 20% Grenache, and the Mas de Maha is a blend of 50% Tempranillo, 25% Grenache, 25% Carignan.